Guardians 3? Avengers 5? Marvel Studios announce seven untitled MCU movies up to 2022 – so, what could they be? Marvel Studios’s never-ending plan to fill every theatre with a MCU movie from now until the end of time is gathering pace. Seven new (as-yet-untitled) movies are in the works from 2020 until 2022 which has got us thinking: What could they be, and how does that affect, y’know, everything going forward? Interestingly, 2020 has only one Marvel movie listed. 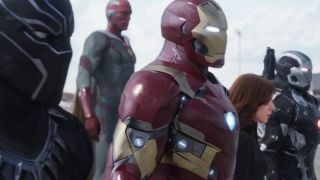 It’s a safe bet that the other two Phase 4 flicks will still hit on May 1 and November 6 respectively as in their previously-announced schedule up until 2020. It’s easier to play fan-fiction with these dates, so let’s keep it relatively restrained. No X-Men vs. Avengers (for now). Sorry, folks. July 31, 2020 is almost definitely Guardians of the Galaxy 3. Guardians 1 and 2 came out in mid-2014 and 2017. It doesn’t take a genius to work out what might come next. May 7, 2021 is a little trickier. Black Panther 2 would be the most likely candidate – so expect to see T’Challa return around about then. July 30, 2021 is, if Marvel isn’t too intent on chucking new franchises at us, the perfect slot for a Taika Waititi-helmed Thor movie. Ragnarok 2, Thor 4 (that’s a mouthful), call it what you will, this could be the summer blockbuster to end all blockbusters. November 5, 2021 could be the perfect opportunity for a second go-around with the Sorcerer Supreme. Marvel aren’t just going to let a big property slide past 5 years (!) without Doctor Strange 2. You don’t sign up Benedict Cumberbatch for nothing. May 6, 2022 and Avengers 5. If Marvel are playing the long game, here marks the point where you can start introducing Fox characters (should they acquire the rights to them) without overloading your schedule with brand-new, risky characters. July 29, 2022 will probably follow the same route as 2019. Big Avengers movie and then a light-hearted romp with Spidey. What better way to end Phase 4 (there’s got to be a reason why these release dates end here) than by completing the Homecoming trilogy? Confused? Me too. Every MCU movie up until 2020 is a LOT more straightforward. Honest.